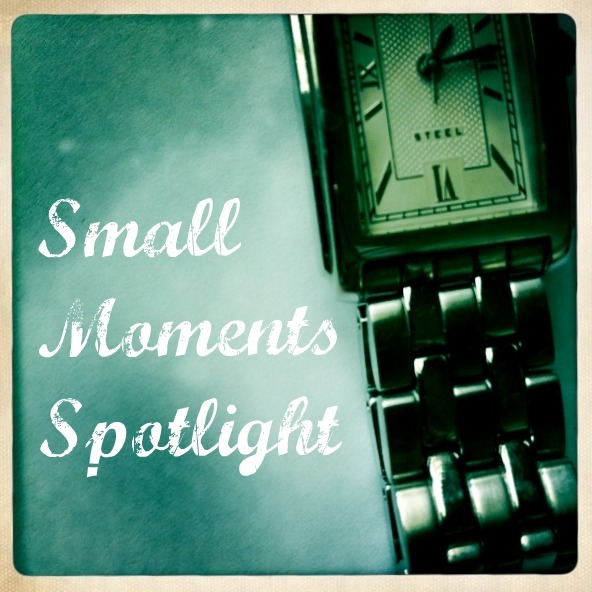 This week, I have four glorious posts to share with you in the Small Moments Spotlight, four posts that will make you stop and appreciate and remember similar moments in your own life. If you’ve submitted something to me recently and it isn’t featured here, I might be saving it to feature in the coming weeks. If you’ve read or written a post that captures a small moment, please use my “contact me” tab (up there in the navigation bar) and send me the link. I’d love to feature it here. 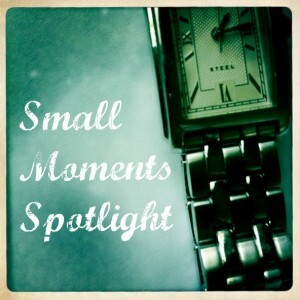 If you’ve been featured here in the Small Moments Spotlight and would like the button, let me know and I’ll send it your way. Such a great place to be, Nichole! And much love to Leighann…..you are so sweet! OMG thank you for featuring me it means so much! Read and loved all the posts! Such great company to be in. From the bottom of my heart, thank you. Loved each and every one of those links! I love knowing these wonderful women and reading their words about the little things.